Cobi Mayson knows exactly who Hadley is to him the moment he sees her for the very first time. That doesn’t mean it will be easy for him to convince her to take a chance on him. 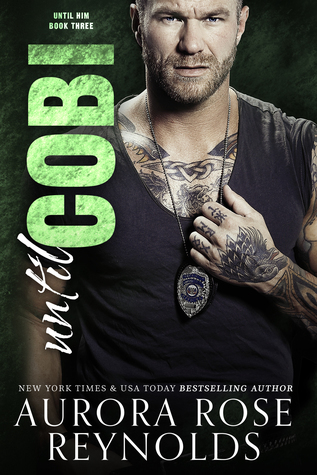 Hadley Emerson knows she could fall hard and fast for a guy like Cobi. A man who seems to show up every time she needs him, but she knows better than to just hand over her heart. Knowing his future with Hadley is on the line, Cobi begins to tie their lives together. As the invisible rope that connects them tightens and things between them heat up, an unknown threat emerges threatening to to take away their happily ever after and send them both into darkness. Until Cobi is the seventh book in the Until Her/Him series. This book starts right up where UNTIL HARMONY left off, so there is no bog time line jump. Until Cobi brings us back to the Mayson’s with Cobi’s story and his BOOM! Everyone has a destiny, you are mine! Hadley is still very much shaken up by the events of the previous book. She comes from a totally different family then Cobi and has no one but her friend coming for her. From the moment Cobi sets eyes on Hadley he knows she is his everything and that he will do everything in his power to make sure she doesn’t get hurt again. Like all Aurora’s books I devoured this book whole. Her secondary characters make her books so much better and her alpha males and strong female leads make them brilliant. I highly recommend reading Until Cobi and all her others books for that matter.